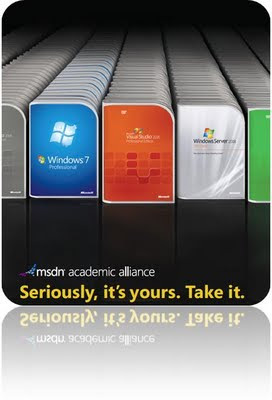 It gives us immense pleasure to inform you that every student, faculty and staff member can now download Latest Genuine Microsoft Software at no cost for their personal and home use under the strategic alliance agreement with Microsoft; as a part of this alliance between Higher Education Commission and Microsoft, free licensed Microsoft software were provided to all the Public Sector Universities for their official use. Now HEC in collaboration with Microsoft would like to announce that every student, faculty and staff member of all public sector universities have full access to the e-academy Licensing Management System (eLMS) Portal to download the complete suite of Microsoft products for their home use absolutely free. Now students can demand their own account from the IT Services department of their respective university. You have to acquire your account as early as possible to get the maximum benefit from this facility. So go ahead and accelerate your learning experience.